Your classroom wish list, only smarter. 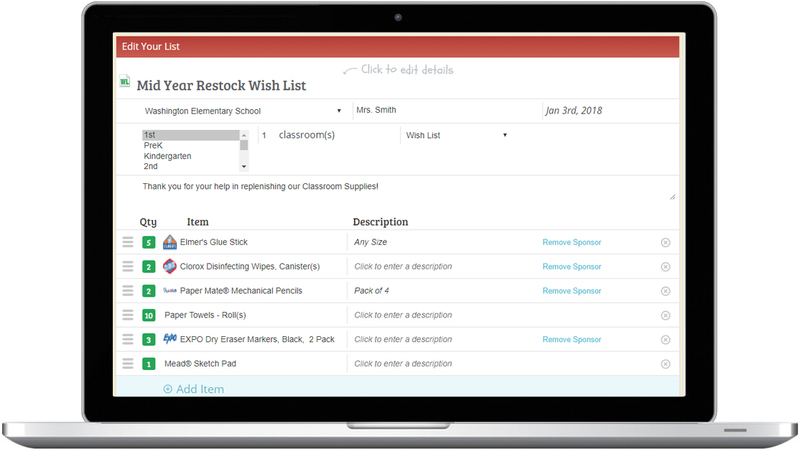 TeacherLists is the smarter way to create and share classroom wish lists with parents. 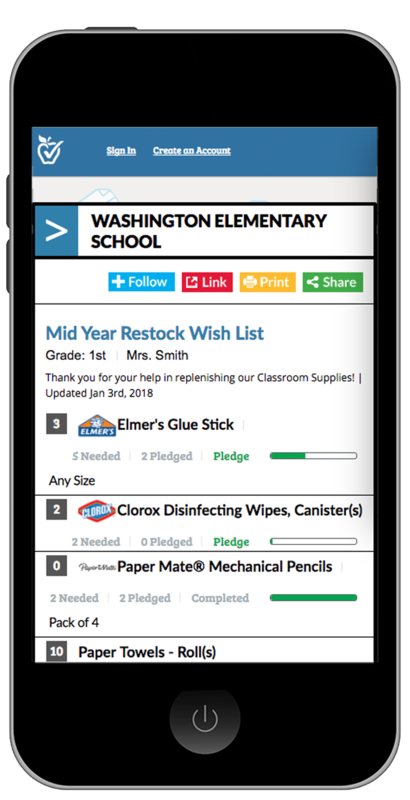 Classroom needs change throughout the year - and now your wish list can easily change, too. Simply upload your wish list (in any format), or build your list in seconds using our list wizard. You can easily add or remove items from your list throughout the year with just a click. TeacherLists takes the guess work out of who is donating what. With just a tap, parents can pledge to donate an item on your wish list. You'll be notified instantly via email, and parents will get an email reminder, too. And, your list automatically updates with every pledge, ensuring both the items and quantities requested always reflect what you still need. Finding and viewing lists has never been more convenient. Your most current wish list is always available to parents from any device (even their smartphones while shopping! ), on your school's website and on TeacherLists.com. No more lost lists or trying to download documents on a phone! Simply build a wish list in seconds using our list wizard, or upload an existing list (in any format). 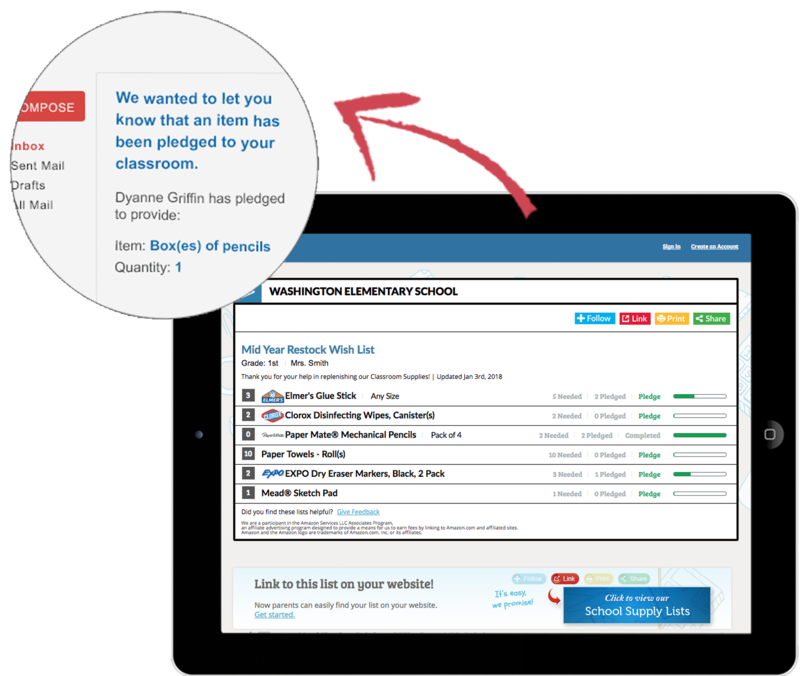 Share your list with parents via email, social media, your school website, or parent app. It's Free! Parents can view your mobile-friendly list from any device and pledge to donate items, right online. I love it! What an easy way to create and share wish lists. Thanks for this amazing tool!